Are you doing everything you can to eat healthily? Are you working out regularly and you still have areas that are resistant to your efforts, where you can pinch an inch? Laser Lisse in Gaithersburg, Maryland, may have the fat destruction answer for you. 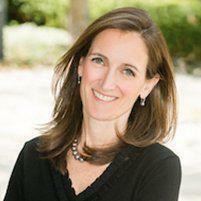 Dr. Kathleen Farrell and her Laser Lisse team understand can help reshape your body with UltraShape® Power. If you live in the Montgomery County area and are ready to sculpt your body and reduce your waistline, call the expert aesthetic team at Laser Lisse or use the online booking system. When you eat more calories than you burn, the excess calories are turned into fat that’s stored in specialized fat cells. As you lose fat through diet or exercise, the fat in your fat cells diminishes, but you still have the same number of fat cells. In contrast, if you choose a permanent noninvasive fat-elimination technique, such as UltraShape Power, you actually permanently destroy the fat cells in a treated area. After the fat cells have been permanently destroyed, your body eliminates the debris over the next 10-12 days. The dead fat cells will not regenerate. It is important to continue a healthy lifestyle with regular exercise to maintain your results. Clinically proven UltraShape is the only FDA-approved non-surgical fat-removal technique that uses the power of focused pulsed ultrasound energy to rupture the walls of fat cells in your abdomen, flanks, or thighs. As the treatment destroys the cell walls, the fat in the cells releases in the form of triglycerides. Your body processes the triglycerides and eventually, the debris is eliminated from the body naturally. 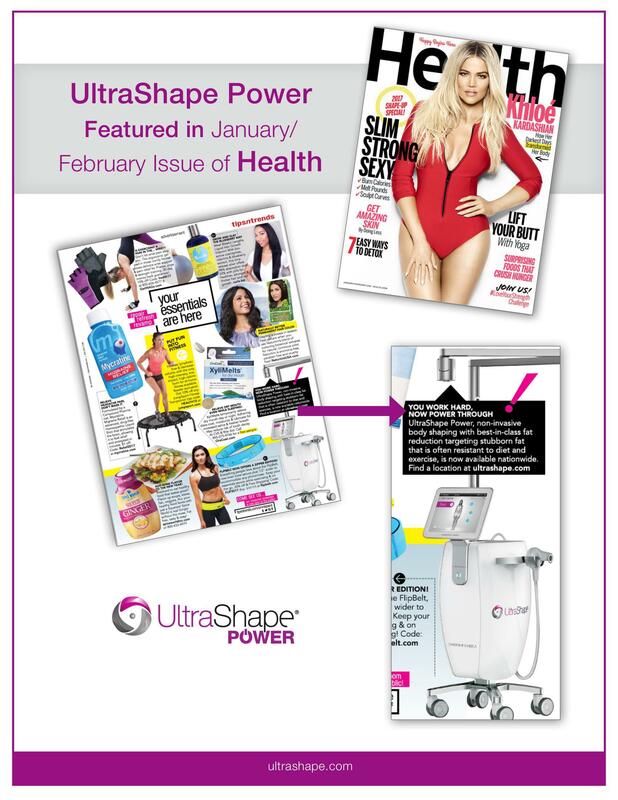 What are the advantages of UltraShape Power? UltraShape is the most effective non-invasive fat destruction procedure on the market today. It will reduce the fat layer by 32% which is about 10-21% more effective than CoolScuplting and SculpSure. When compared to the other non-invasive fat destruction options, UltraShape Power is the most comfortable, with no pain associated with the procedure. In fact, many people have fallen asleep during their treatments. 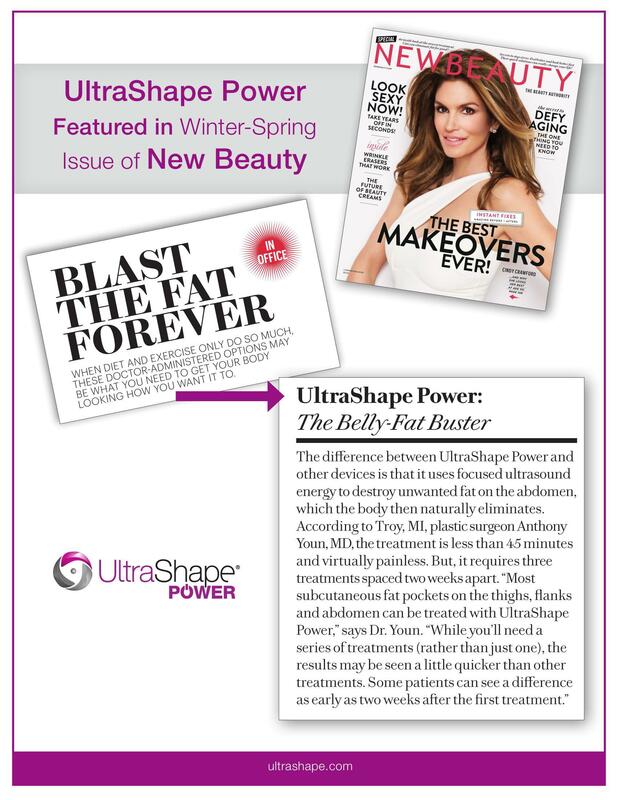 Another dramatic advantage that UltraShape has over other fat-destruction techniques is how quickly it works. Other treatments use either cold (CoolSculpting) to gradually destroy fat cells or laser energy (SculptSure). Both of these techniques send the fat cells into a slow-death cycle called apoptosis, which can take three months to complete and several months before you see results. UltraShape Power destroys the fat cells immediately during your treatment. The debris from the fat cells is naturally cleared by your body in about 12 days. Most men and women start to see a change in the circumference of their waistline, flanks, or thighs after just two weeks. How long before I see my final results? You see your final circumference within just four weeks after your final treatment. There will be three treatments spaced two weeks apart to obtain your ideal figure. As long as you maintain a stable weight, your new UltraShape figure is yours to keep. To find out if you’re a candidate for body contouring with UltraShape Power, contact Laser Lisse by phone or by booking your appointment online.